We are looking to hire happy people who love children! 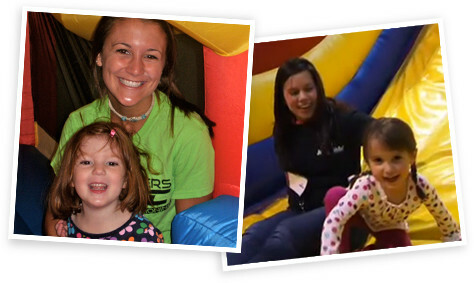 At Jump On In, we are always interested in hiring energetic people who love children. Jump On In is on the lookout for great referees to help with parties and great supervisors to help run our facilities in tip-top fashion. We want to create a fun and safe environment, so we need “fun” personalities combined with responsible and motivated people. We have a fun and high-energy atmosphere at Jump On In and we are a great place to work! Download an application and drop it off at your nearest Jump On In location today! Are you interested in owning your own Jump On In facility?